Invest Ophthalmol Vis Sci 59:2080-2089,2018. Isolates and antibiotic susceptibilities of endogenous bacterial endophthalmitis: A retrospective multicenter study in Japan. Changes in choroidal thickness in healthy pediatric individuals: A longitudinal study. Accuracy of deep learning, a machine-learning technology, using ultra–widefield fundus ophthalmoscopy for detecting idiopathic macular holes. 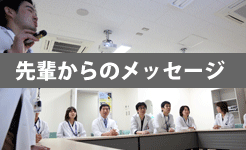 Takamura Y, Shimura M, Katome T, Someya H, Sugimoto M, Hirano T, Sakamoto T, Gozawa M, Matsumura T, Inatani M; writing committee of Japan-Clinical Retina Research Team (J-CREST). Effect of intravitreal triamcinolone acetonide injection at the end of vitrectomy for vitreous haemorrhage related to proliferative diabetic retinopathy. Morikawa S, Okamoto Y, Okamoto F, Inomoto N, Ishikawa H, Harimoto K, Ueda T, Sakamoto T, Oshika T; Japan-Clinical Research of Study (J-CREST) group. Clinical characteristics and outcomes of fall-related open globe injuries in Japan. Graefes Arch Clin Exp Ophthalmol 256:1347-1352,2018. Genome-wide association study to identify a new susceptibility locus for central serous chorioretinopathy in the Japanese population. Best surgical technique and outcomes for large macular holes: retrospective multicentre study in Japan. Clinical characteristics and visual outcomes of sport-related open globe injuries.